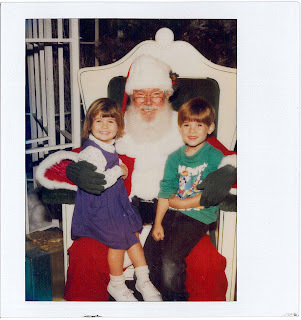 One of our traditions was to go see Santa on Thanksgiving weekend. This was from 1995. At that time I felt like I was on top of the world -- I had two healthy great kids, a amazing husband and life was perfect. I had hopes and dreams for my future and never in my wildest thoughts did I imagine my life as it is now. 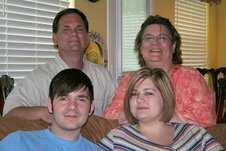 One thing that is certain is that our holidays are never going to be the same -- she is missed by our whole family and no matter what new traditions we start our days are filled with a sadness that will never go away. This Thanksgiving I am thankful that we were able to have Kaitlyn in our lives for the short amount of time that God graciously allowed. She filled our house with laughter, tears and love. She taught us to look past outward appearences and to see what a person was like on the inside.